Monreal, officially the Municipality of Monreal, is a 4th class municipality in the province of Masbate, Philippines. According to the 2015 census, it has a population of 26,614 people. It is located on the northern part of Ticao Island. In the 2015 census, the population of Monreal, Masbate, was 26,614 people, with a density of 210 inhabitants per square kilometre or 540 inhabitants per square mile. Monreal's local economy is based on fishing. A local conservation effort to protect the environment lead to the development of tourism industry in the municipality. The Halea Island Retreat and Nature Park is the number one attraction for tourists both local and foreign, creating employment opportunities for the local folks and generating revenues for the local government in terms of taxes. The municipality is part of Ticao island, which is known as an archaeological landscape, possessing thousands of pre-colonial artifacts such as the Baybayin-inscribed Rizal Stone, Ticao gold spike teeth, Burial jars of varrying designs and sizes, jade beads, human face rock statues, and the Ticao petrographs.Much of the homes in Ticao island use these archaeological finds to design their interiors. The island is also an ecological frontier for the conservation of manta rays. The island also possesses a 'rare subspecies' of Visayan warty pig that is almost near extinction. ^ a b "Province: Masbate". PSGC Interactive. Quezon City, Philippines: Philippine Statistics Authority. Retrieved 12 November 2016. 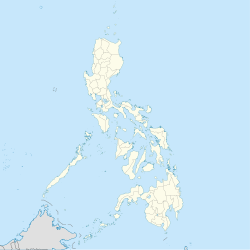 ^ "Province of Masbate". Municipality Population Data. Local Water Utilities Administration Research Division. Retrieved 17 December 2016. This page was last edited on 24 February 2019, at 09:56 (UTC).